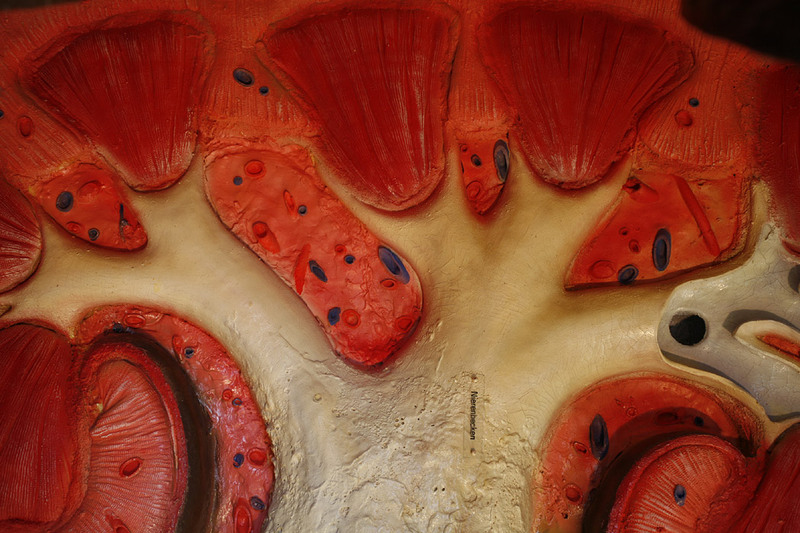 Every human has two kidneys lying in the abdominal cavity, right and left of the vertebral column. Shaped like a bean, they measure about 11cm in length and 5 to 7cm in width. 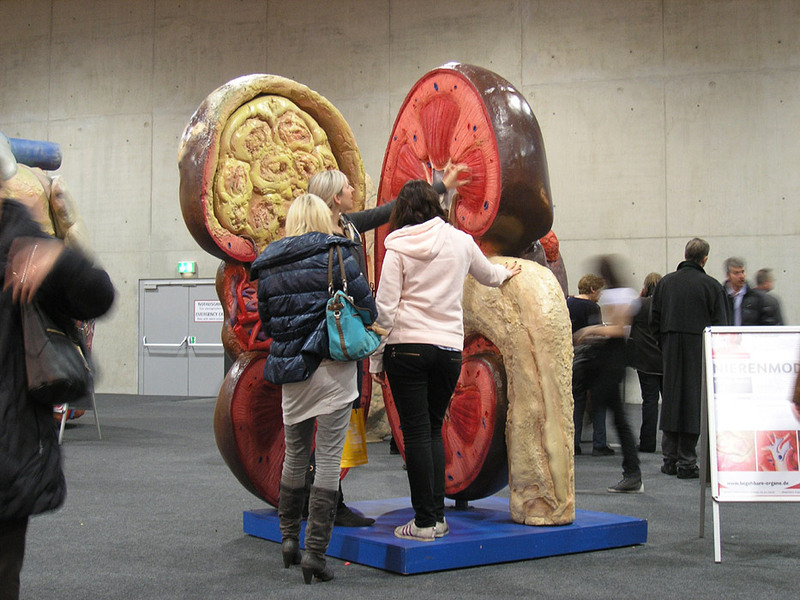 The kidneys excrete waste products of metabolism as well as toxins by forming urine which is washed out of the body through the urinary passage. The kidneys regulate the water supply of the body and thus serve in the long-term adjustment of blood pressure. Moreover, they control the electrolyte metabolism as well as the acid-base balance and produce hormones, e.g. for the haematosis. 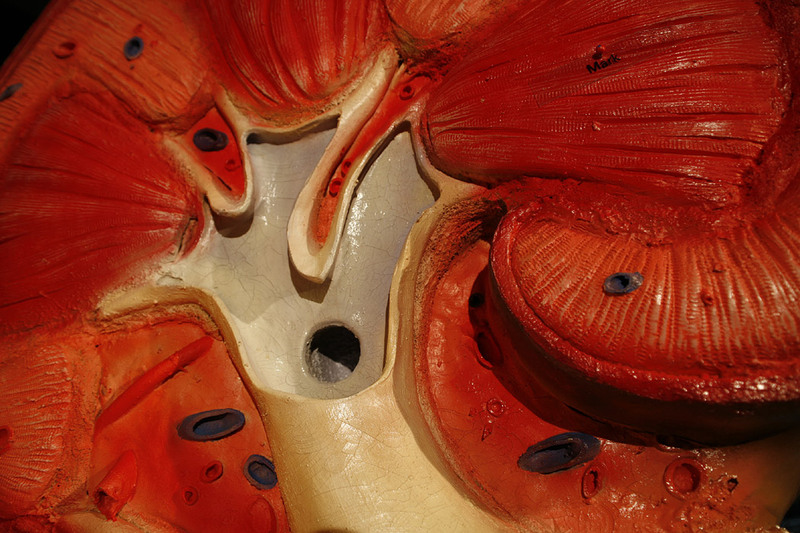 The kidney model illustrates an oversize, hinged kidney in two conditions: one side shows the healthy organ. On the other side, the visitor can observe a tumour in an advanced stadium and its merging with the surrounding, healthy tissue at eye level. The tumour can be “removed” and thus the state after medical treatment is on display. A therapy with a new mechanism inhibiting the formation of new blood vessels (the so-called inhabitation of angiogenesis) leads to interrupting the supply of the tumour with oxygen and nutrition. 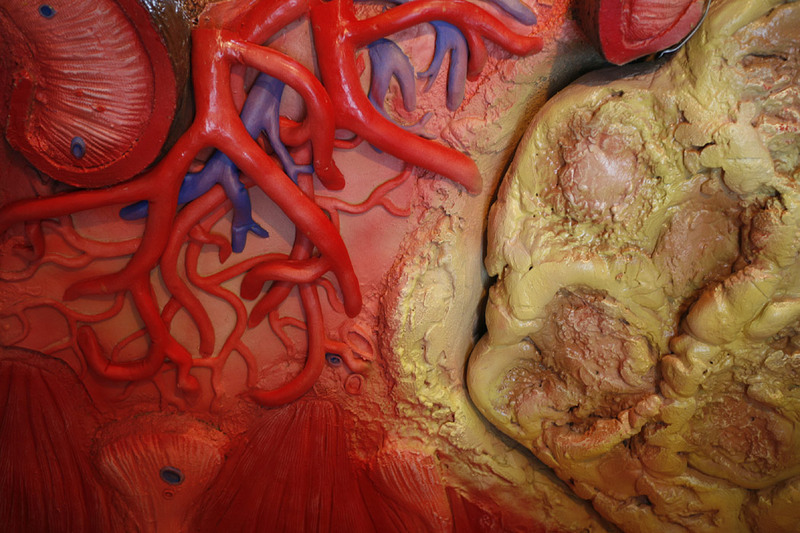 The tumour eventually dies and a shrunk lump remains, as shown in the model.